A federal judge in Philadelphia blocked new Trump administration rules, slated to take effect today, that would exempt some employers from providing health insurance that covers birth control. U.S. District Judge Wendy Beetlestone issued an eleventh hour nationwide preliminary injunction on Monday, one day after a federal judge in California issued a similar but more limited ruling covering 13 states and D.C. Had they gone into effect, the new rules would allow employers to obtain exemptions to the Obamacare requirement that they must offer insurance that covers contraception with no co-payment, on the basis of, you guessed it, religious or moral objections. “The negative effects of even a short period of decreased access to no-cost contraceptive services are irreversible,” Beetlestone said, adding that 2010 Affordable Car Act expressly prohibits such exemptions. If the rules are enacted, around 70,500 women would lose coverage. Of course, neither yesterday’s ruling nor today’s will permanently block the policy, but as with so many instances in which the judiciary has stepped in, the hope is that it will remain tangled in the court system until the entire administration chokes on a mountain of cheeseburgers, or aliens kindly arrive to colonize us, whichever comes first. 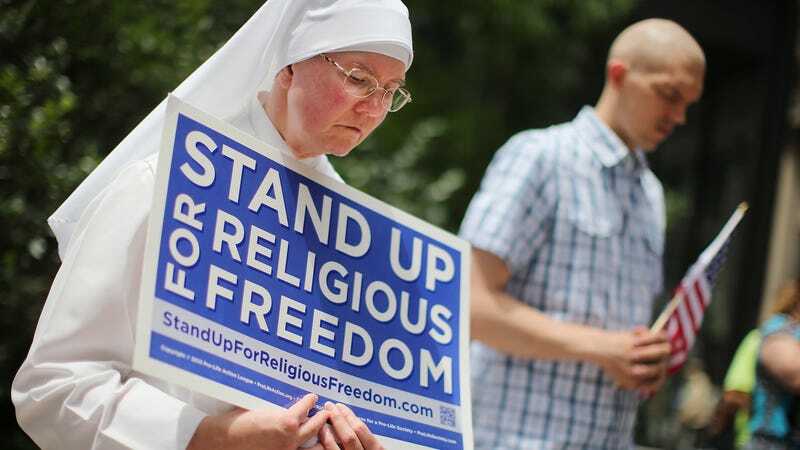 The Obama administration had narrow exceptions for churches and religiously affiliated organizations and created a system of “accommodations,” or workarounds, in which a third-party insurer would cover birth control even if the employer did not. Trump health officials widened the circumstances under which employers could claim exemptions. If you’re considering an IUD, now might be a fine time!